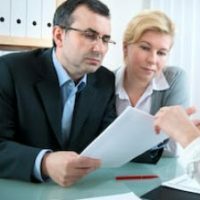 Do I Really Need an Attorney To Create My Estate Plan? You’ve decided you need to create an estate plan, but do you really need an attorney? After all, there are plenty of resources online that claim to be able to allow you to do it yourself, especially wills. However, that doesn’t mean they are a good idea. Would you be willing to try to defend yourself if you were facing criminal charges? Would you try to perform surgery on yourself to save a few dollars? Probably not. The chances of accomplishing any of the above scenarios successfully on your own are pretty slim. There’s a good chance that you would botch the job and end up having to pay even more for a professional to fix the mess that you made. Estate planning is the same way. There are plenty of mistakes that can be made, and it’s much easier, and cheaper, for an attorney to start from scratch than to try to fix the mess you made because you were trying to save a few dollars. Lack of Additional Documents for Other Legal Purposes – Every good estate plan should not only include a will, but also a Health Care Directive and Durable Power of Attorney. A simple fill in the blank will isn’t going to give your loved ones the guidance they need if you become disabled or pass away. Failing to Expect the Unexpected – DIY estate plan documents don’t include contingency plans, but an estate plan from an experienced attorney will plan ahead for all of the what-if scenarios. Attorney David Toback can help you plan for unexpected events such as divorce, bankruptcy, and other common life events. Overlooking Legal Formalities – Only certain people can serve as a witness to a will in Florida. Do you know who those people are? Failure to have a witness that meets the criteria could result in your will being invalid, or at best, be open to being challenged. An experienced attorney will understand all of these seemingly small issues and help you avoid any potential pitfalls. Although it is not illegal to attempt to draft your own Last Will and Testament, you should at least consider consulting with an experienced attorney before attempting such an important set of documents on your own. An estate planning attorney can help you determine if certain parts of your estate plan need a more detailed, personalized approach that only a legal professional can offer. Attorney David Toback has decades of experience ensuring that his clients’ last wishes are handled the way they hoped for. Contact the Tampa office of David Toback, Attorney at Law today to schedule a consultation.